Become a tech-savvy senior today! Everyone should feel confident about using a computer. David is enthused about helping people over 60 years of age as much as possible to learn basic computer literacy and Internet skills. Personalised in-home tuition is available in Toowoomba City. It is a proven fact that people learn best one-on-one. You only have to take that first step to discovering another world. Computers will not byte you! David Fredericks is the leading and most trusted source of Toowoomba computer training specifically for the grey and silver haired. Smart working, reliable and a computer enthusiast since 1985, David has the problem-solving ability and emotional intelligence to deliver a brilliant customer experience. Learn how to use the World Wide Web and email to keep in touch with loved ones, who are now commonly spread around the country and wider world. Use the web to make travel plans, book flights and hotels. David has the patience to guide computer-phobic types through their paces to become computer-savvy and competent users. A Microsoft Office and Windows 10 specialist, let his knowledge and experience work for you. Please note that David Fredericks is a certified computer trainer. He teaches people how to use their computers and software. He DOES NOT fix computers or associated services such as Internet connections. This job is best left to a computer repair service. David recommends Rick Campbell at PineSeed, a Toowoomba based IT service. For those interested in learning in depth the software used for Accounting and Bookkeeping, please talk to Ray Eastgate at www.spectrumcomputercourses.com.au. Ray travels all over South East Queensland. Another satisfied customer, Dawn James is a 91 year old lady from Highfields, 15 minutes north of Toowoomba. Having contacted David about some basic computer training, Dawn proceeded to learn how to send emails and use her Windows 10 laptop. A sewing enthusiast, Dawn learnt how to create, store and manage her sewing patterns with her computer. It is refreshing to see someone of such an age still keen to learn. David can show senior citizens how to avoid falling for internet and telephone scams. In most cases these scammers claim that you have won the lottery or a grand prize of some sort. They prey on society's most vulnerable people and often can sound convincing. In reality most of these scammers originate from Jamaica and can seem to reside nearby. They are almost impossible to track down because Jamaica is outside Australia's jurisdiction. Remember - anything that sounds too good to be true probably is. The golden age of the web is upon us: Seniors (age 60 to 80) represent the fastest-growing segment of Internet users, clearly proving that you can indeed teach an old dog new tricks. These days, eyebrows no longer lift in amazement at the thought of senior citizens going online. In fact, they are heading into cyberspace in droves to access information on education, health, genealogy, hobbies, and more. Plus, online communication has proved to help the older population reduce isolation by staying in touch with family and friends. 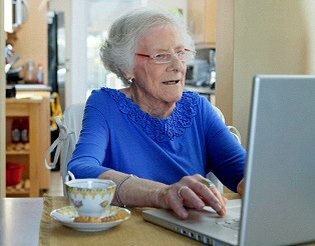 ​Some seniors are initially intimidated and frustrated by computers. Although some retirement communities offer computer facilities, technical support may be fragmented or nonexistent. At-home personalised services are a better way for seniors to learn computer skills and become Internet-savvy. As part of his services, David helps his clients purchase their computers and peripherals, installs the equipment, and then teaches them how to use it. Once they are online, seniors generally want to learn about word processing, personal finance, and desktop publishing software. They also enjoy playing computer games and conducting genealogy searches. David makes it part of his mission to keep seniors connected through the use of their computers. His services can often include teaching computer basics or more advanced skills, or providing assistance with equipment purchase, software, and equipment upgrades. Using his over eight years of website design business experience, David can show seniors how to setup their very own website using freely available online tools like Weebly. He will also explain how to secure your own website domain name, and how to integrate shopping carts and payment collection for those wanting to set up a full e-commerce experience. ​Learn how to draw and paint with your computer. David teaches you how to use a commonly available program on your computer to paint with light. He will show you that the computer is a great medium for artistic and visual expression. Back in 1985 David pioneered the study of computer art in Queensland secondary schools with the first ever '7' rating for the new subject. He can teach Adobe Illustrator CS6 for aspiring graphic designers. Microsoft is planning to release a new operating system called Windows 12 in 2019. Indeed, there will be no Windows 11, as the company decided to jump straight to Windows 12. The reason behind this name is rather a symbolic one. Windows 12 is the bridge between the classic Windows Operating System and the new innovative operating system. It marks the beginning of a new era in personal computing: the Virtual Reality era. ​Education as we know it is changing rapidly. The classroom is no longer the only option to receive a world class education. With nothing more than an Internet connection and a computer you have the potential to develop knowledge and skills that will far outweigh the things you would learn just by attending school. The great thing about the school of life is that there are no grades, no tests, or requirements. It's purely about the joy of learning. 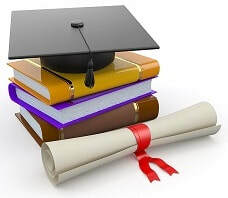 You're never too old to learn, in fact the oldest university graduate was 99. ​Taking charge of your mind and thought processes, is taking charge of your life. Hundreds have accessed this excellent free download. Benefit now and share it with your friends. Want to find me again? Google search 'David Toowoomba'.